is the world’s first cryptocurrency-only SMARTER THAN BETA tokenized portfolio, that will autonomously maintain a diverse portfolio of up to the top 20 cryptocurrencies by market capitalization. The SMARTER THAN BETA strategy developed by the institutional investment manager Salus Alpha Capital can outperform any index in any asset class by 40% more return and 40% less risk. 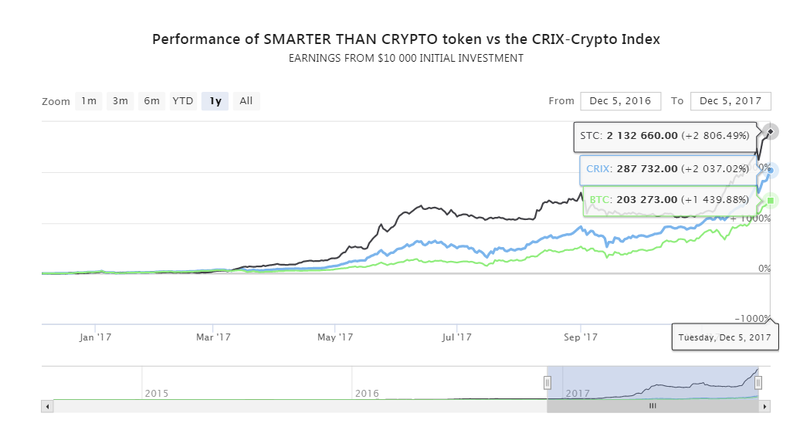 SMARTER THAN CRYPTO has an annual fee of 0%. SMARTER THAN CRYPTO can offer such low fees because it is independent and automated. Index strategies are a set of rules that an algorithm can act on with no human intervention required. 24/7 trading, transparency, public verification of SMARTER THAN CRYPTO’s holdings and no expensive legacy banking fees. The tokens value is linked directly to the underlying cryptocurrency assets of up to 20 top coins by market capitalization held by SMARTER THAN CRYPTO via the innovative price floor mechanism implemented in our smart contract. The smart contract allows participants to cash out for their share of the underlying assets at any time. This means that SMARTER THAN CRYPTO’s value on exchange will be protected — it will be irrational to sell at a price lower than the tokens share of the underlying assets if a higher price is offered via the smart contract and can therefore not fall below the portfolio value. 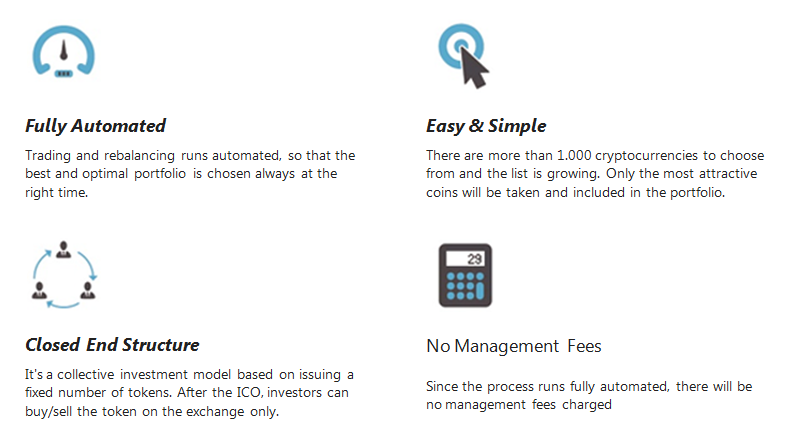 Token holders are free to sell or exchange their tokens at any time and pay no exit fees, broker fees or advice fees. No Minimum. The STC token represents the top coins by market cap. You can trade the entire portfolio with one token. No broker fees. No exit fees. No minimum. The ICO funding will buy the underlying coins. Security is extremely important and the smart contract code was audited by an independent third party. Expert advisors were consulted, best practices implemented and strong identity verification procedures put in place to prevent Sybil attacks and bad actors from compromising SMARTER THAN CRYPTO. SMARTER THAN CRYPTO’s holdings will be audited and the audit report made public post-ICO. STC tokens will be exchange listed. High demand from fiat investors will generate a token price premium. 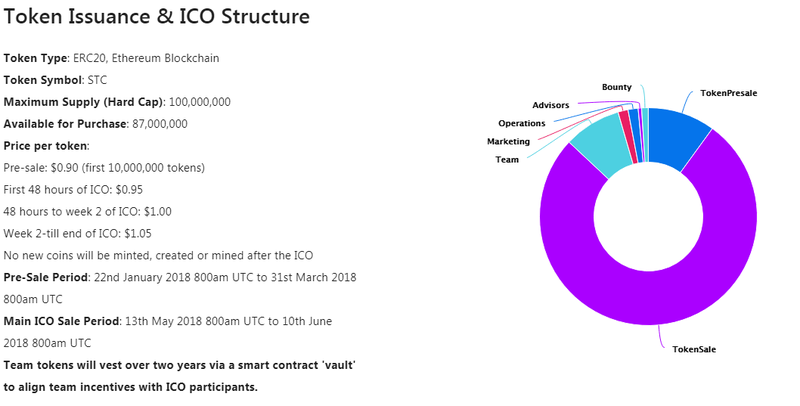 Team tokens will vest over two years via a smart contract ‘vault’ to align team incentives with ICO participants. The SMARTER THAN BETA strategy is intellectual property of the fully regulated and licensed investment manager Salus Alpha Capital. The SMARTER THAN BETA portfolio optimization technology is in production since 14 years on hedge fund strategies and will be used for disrupting the ETF market. The SMARTER THAN BETA portfolio optimization technology is able to outperform any index in any asset class by delivering 40% more return with 40% less risk. Salus Alpha Capital has stored all relevant cryptocurrency data since mid 2013. After approximately six months of trading this deep dataset will be utilized to optimize rebalancing and produce trading strategies for future SMARER THEN BETA token issuance. SMARTER THAN CRYPTO ICO participants will have priority access to other SMARTER THAN BETA products and the SMARTER THAN CRYPTO token will be convertible. Instantly owning a diverse cryptocurrency portfolio is now as easy as holding a single token. Bounty Campaign will be announced soon!